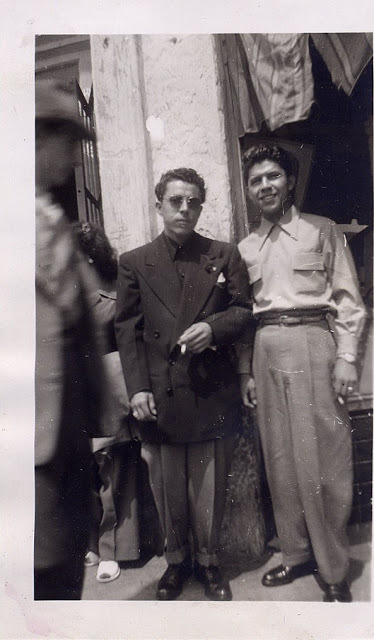 Dressed in flamboyant long jackets, baggy pegged pants, sometimes accessorized with a fedora or a pork pie hat, a long watch chain, and shoes with thick soles, they called themselves “pachucos,” or zoot suiters. 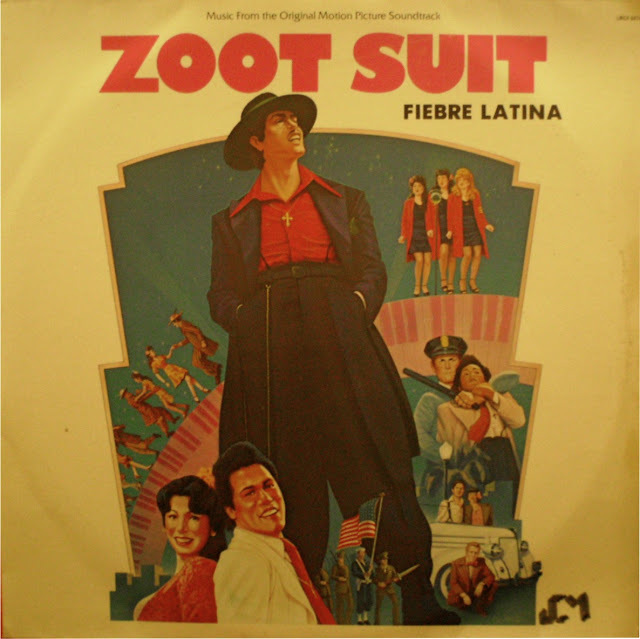 The zoot suit was originally associated with Afro-American musicians and their sub-culture, and the word “zoot” is probably just a derivative of suit. 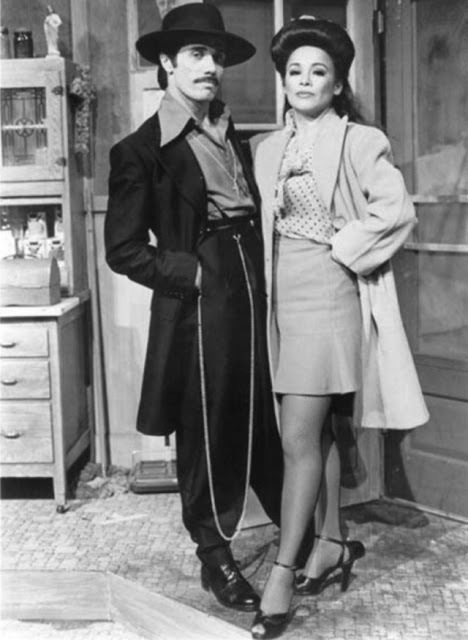 Zoot suit wearers’ dates often wore flared skirts and long coats. 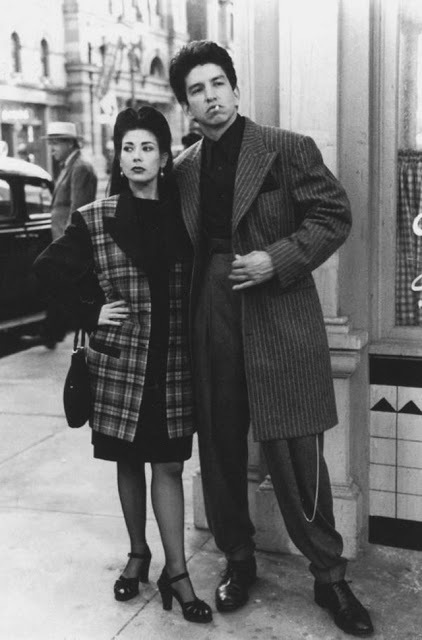 A young Malcolm X described the zoot suit as: “a killer-diller coat with a drape shape, reet pleats and shoulders padded like a lunatic’s cell”. 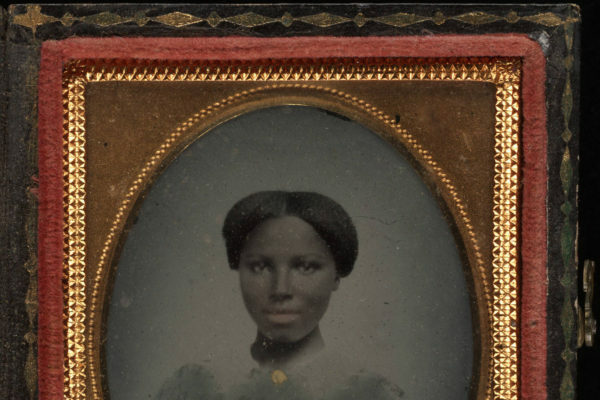 The amount of material and tailoring required made them luxury items, like a sort of defiance against their association as second class citizens. 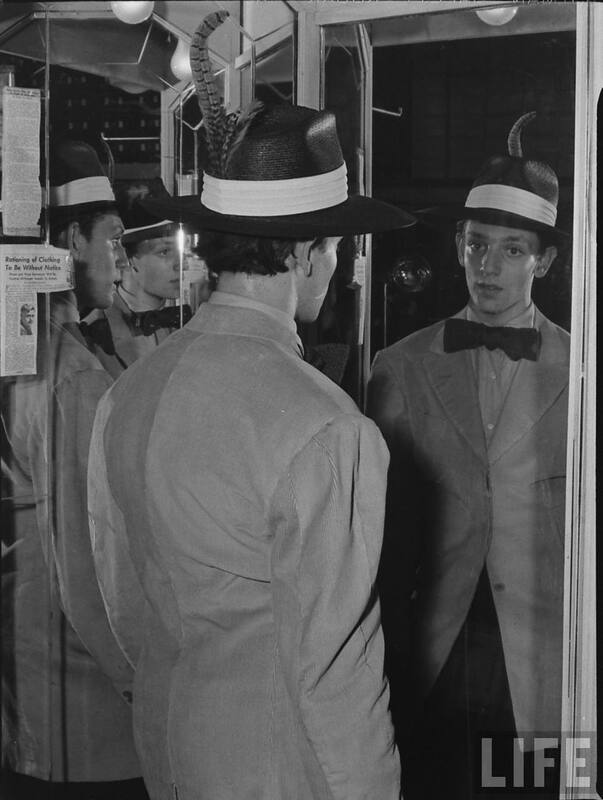 In the photo story by Marie Hansen, American servicemen are photographed side by side with zoot suiters, painting a very different picture to what was actually going on. 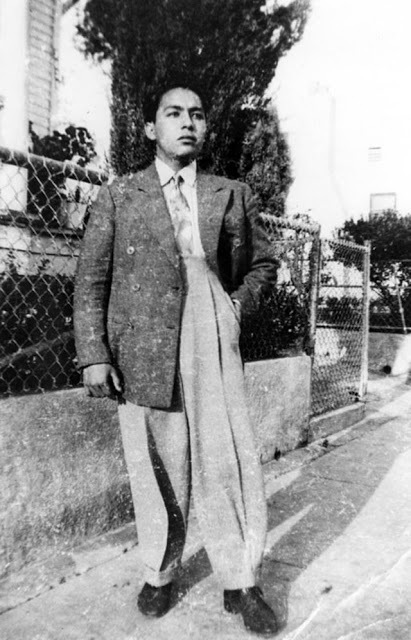 In the early 1940s, arrests of Mexican-American youths and negative stories in the Los Angeles Times had fueled a perception that the pachuco gangs were delinquents who were a threat to the broader community at a time when the US desperately needed to portray an image of a unified country. The oversized suit was seen as a declaration of rebellion. 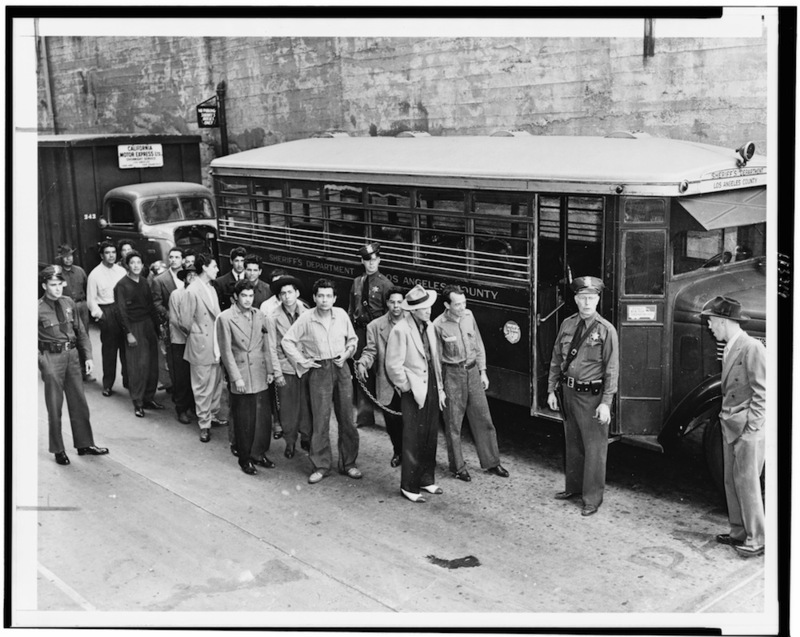 In 1943, tensions reached a boiling point when a series of racial attacks broke out in Los Angeles, California where many migrants were arriving for the defence effort and newly assigned servicemen were flooding in. 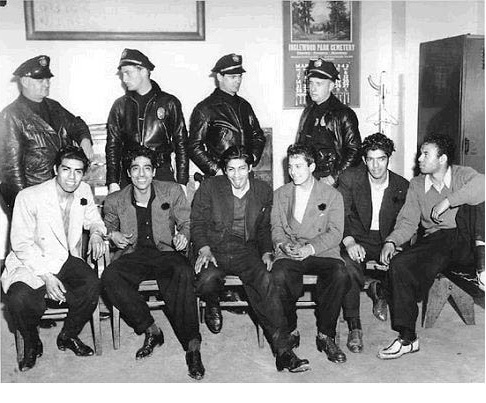 Essentially what happened was a group of Navy guys were cruising in East Los Angeles when they spotted a group of Mexican guys in their fancy zoot suits, and thought it would be fun to beat them up and strip them of their suits. 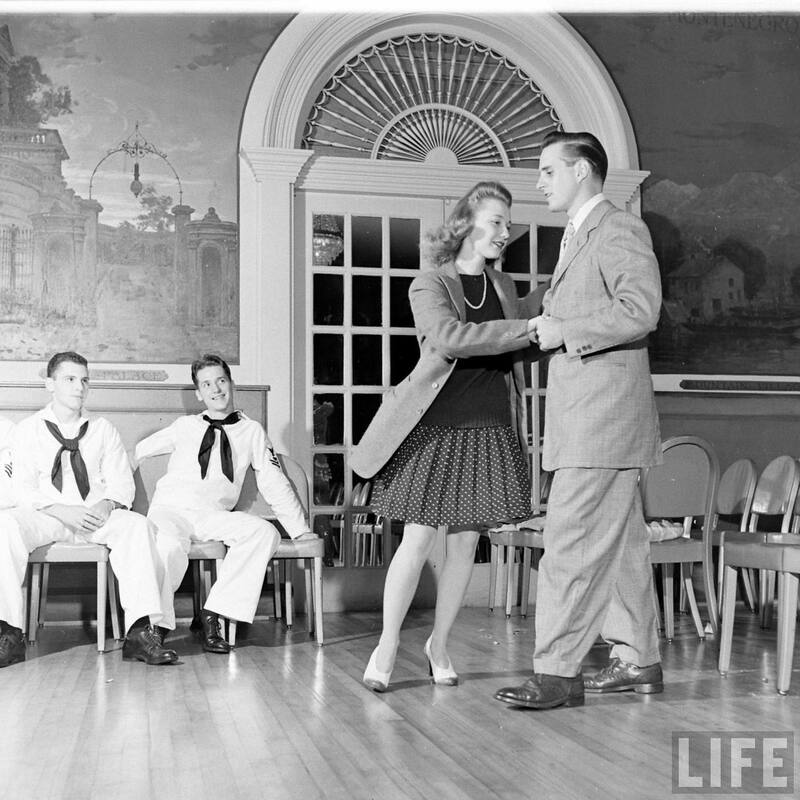 Not long after the incident, another group of Navy guys went back to the area, and this time the Zoot suiters fought back. 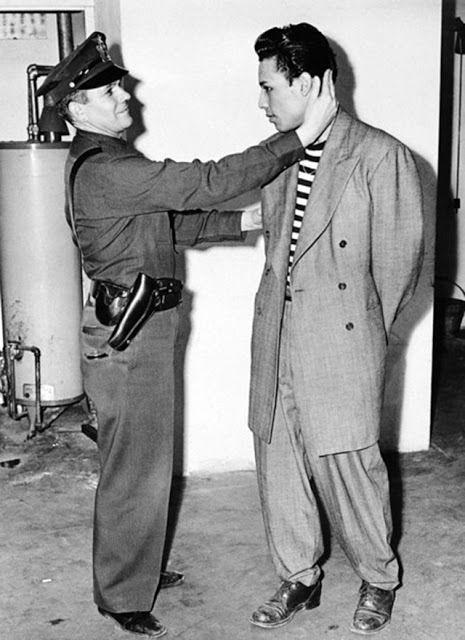 Suddenly, the LA Times was running sensationalist headlines like “Zoot Suiters Beat Up and Stab Servicemen!” during the height of WWII when laying a finger on a serviceman for whatever reason, was like committing treason. 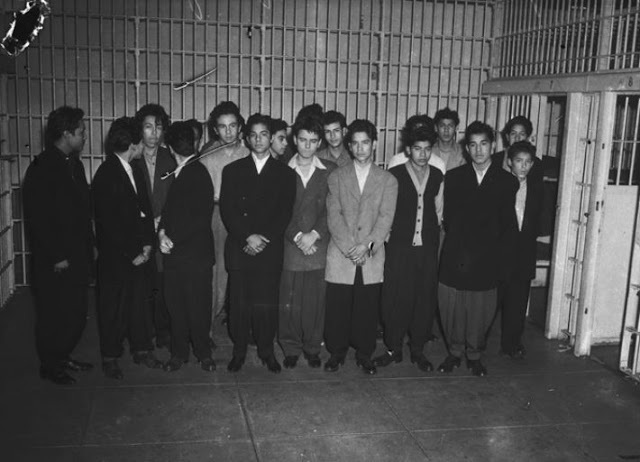 When US servicemen based in LA read those headlines, hundreds and then thousands of U.S. Navy officers headed to East LA and began terrorizing anyone they came across wearing a zoot suit, also worn at the time by several minority groups including African American and Filipino/Filipino American youths. The first attacks involved victims that were 12 to 13 year-old boys. More servicemen followed, entering bars and cinemas in Latino neighbourhoods and assaulting them. 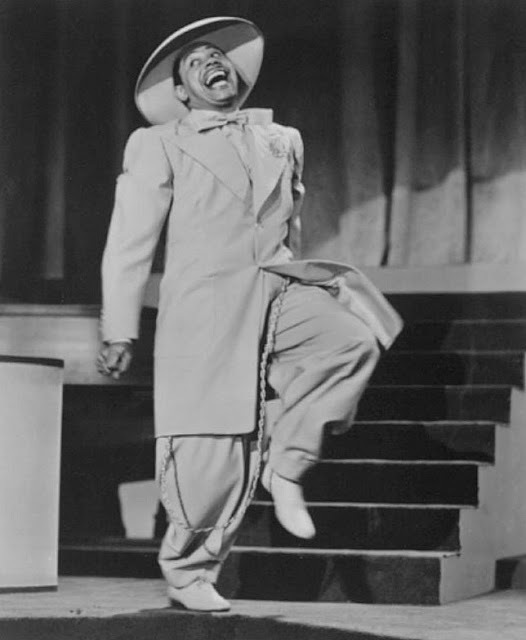 One incident saw zoot suiters dragged on stage as a film was being screened, stripped in front of the audience, and their suits urinated on. Although police were present during the riots, they had orders not to arrest any rioting servicemen. More than 150 people were injured and 500 Latinos had been arrested on charges ranging from “rioting” to “vagrancy”. 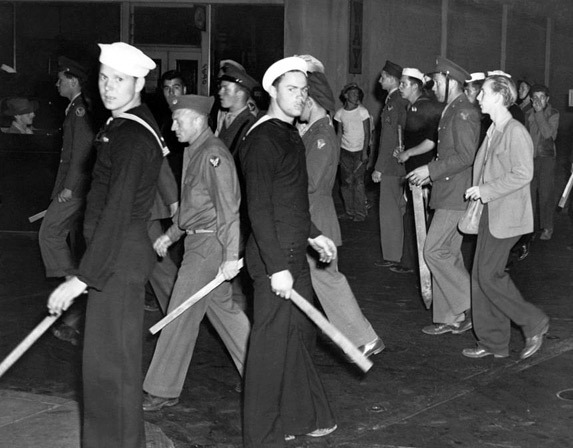 The Los Angeles press described the riots as having a “cleansing effect” to rid the city of “miscreants” and “hoodlums”. 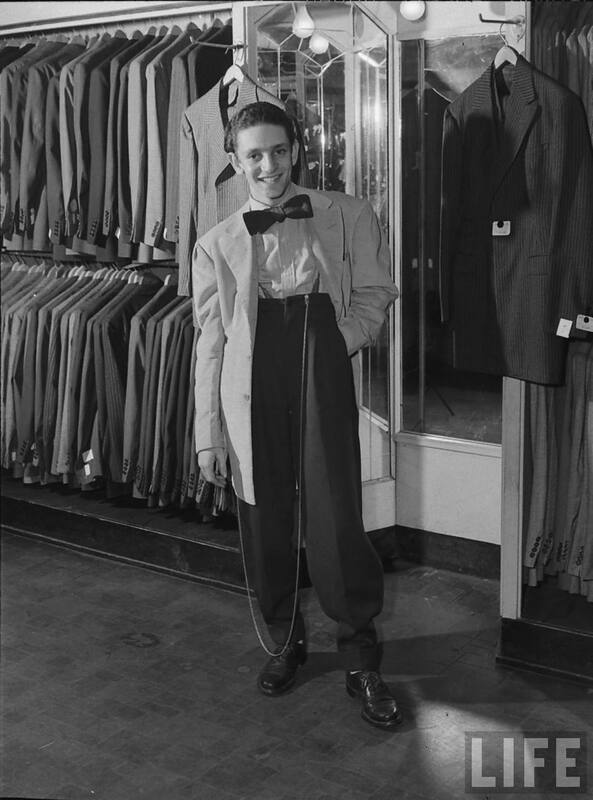 The LA City Council would eventually approve a resolution to ban and criminalise “zoot suits with reat pleats within the city limits” for the rest of the war. 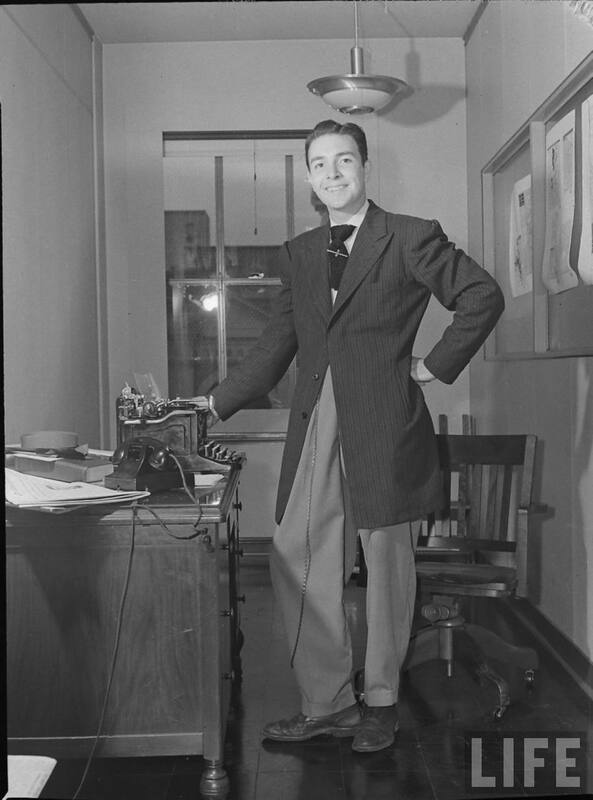 The council encouraged the US War Production Board to get directly involved, claiming the suits were considered an extravagance and unpatriotic during wartime because the oversized suits used “too much cloth”. 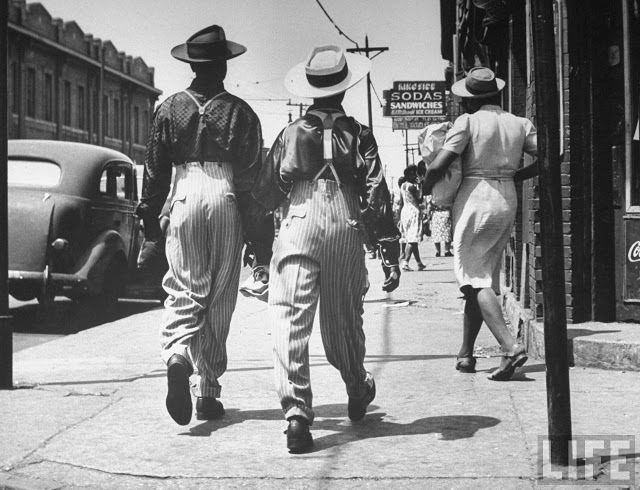 But were the zoot suiters carrying around weapons and chains and terrorising people like the newspapers implied? 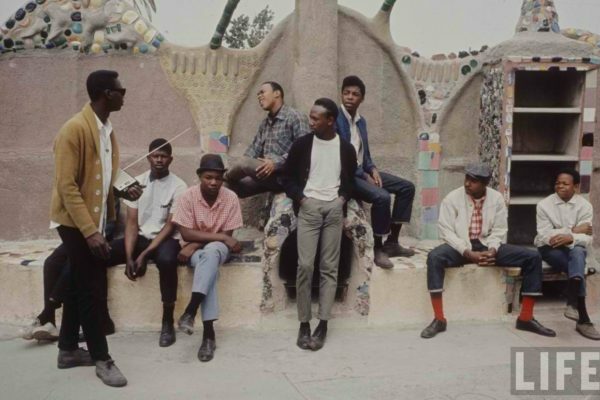 While some of them were, they weren’t the only ones, just like the other rebellious white subcultures at the time such as the 1950s Greaser gangs. 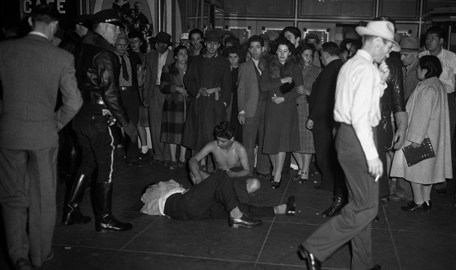 The pachucos were not more violent than other youth groups of the time. 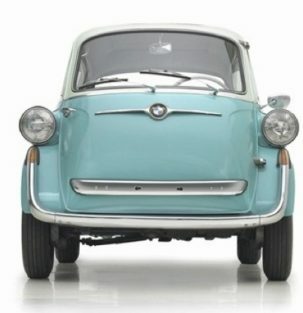 For the zoot suitors, it was about identity and respect and being cool.